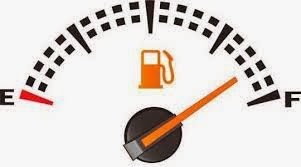 With the rising cost of gas, it's important to know the fuel efficiency of your used car. While new cars typically have this information posted on the window, determining the MPG of a used car can be a little more difficult. Use the following information to get a true estimate of the fuel efficiency of any used car. 1. Fill the gas tank of the vehicle completely. 2. Write down the vehicle's mileage from the odometer. 3. After it's time to refuel the vehicle, completely fill the tank. Then write down the number of gallons it takes to fill the vehicle's tank. 4. Write down the new odometer reading of the vehicle. 5. Subtract the first odometer reading from the second reading. 6. Divide the number of miles traveled by the number of gallons required to fill the tank. 7. The remaining number is the MPG for the vehicle during that period. 1. Start by completely filling the gas tank of the vehicle. 4. Divide the number of miles traveled by the gallons it took to refill the tank. 5. The resulting number is the MPG for the period. As fuel costs continue to rise, it becomes more and more important to understand how to calculate the MPGs for your used car. With this information, you will be able to determine whether your vehicle is a gas guzzler and whether it would behoove you to go to a more fuel efficient vehicle. For a premium used car in the Lakewood area, visit the largest Auto Mall in Washington State, the Olympia Auto Mall.